This swan baby stick rattle is based on our best selling swan toy. 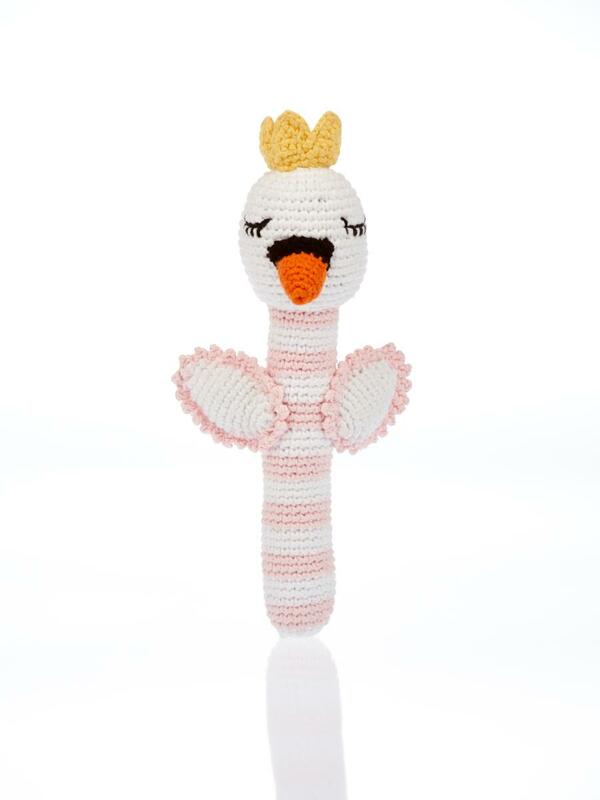 Stick rattles are ideal for babies to grasp onto and this swan with its pink and white body is sure to delight. Hand crochet from cotton yarn. Handmade, machine washable, fair trade, suitable from birth. Best Years are a soft toy manufacturer based in the UK. All of our crochet fair trade baby rattles are available to consumers, wholesale, retailers and museum customers.